The Sons of Union Veterans of the Civil War (SUVCW) is the successor and legal heir to the Grand Army of the Republic (G.A.R. 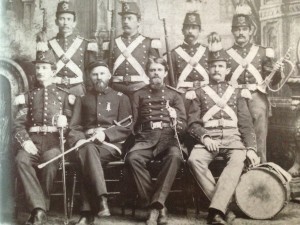 ), a fraternity of veterans of the American Civil War. Therefore the history and identity of the SUVCW is wrapped up in the history of the G.A.R. For a more complete history of the G.A.R. click here. Locally in Evansville, Indiana, veterans sought to be prepared for any future wars and formed independent military organizations. 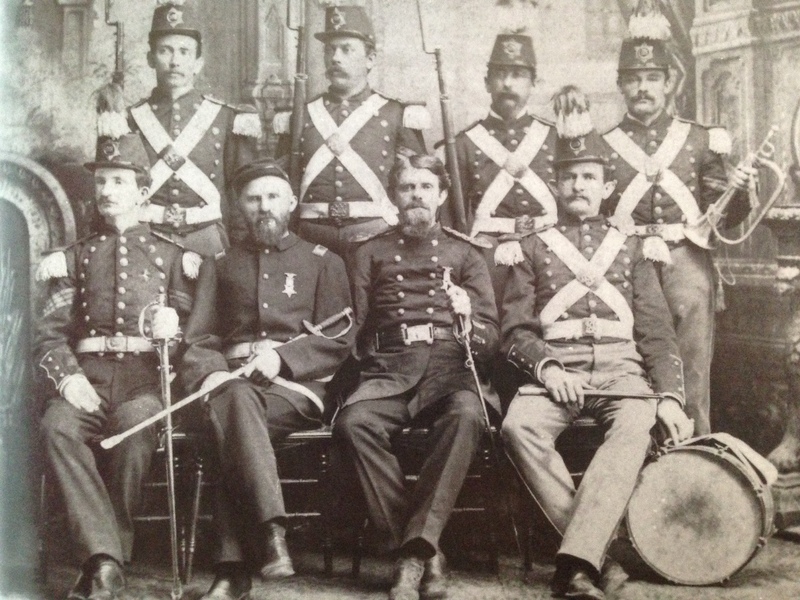 One of the last formed in southwestern Indiana was the Evansville Light Guards. Eventually the G.A.R. organized as Farragut Post, No. 27, named in honor of Admiral David G. Farragut. The Farragut post was organized on 24 June 1881 (and incorporated in 1885) with forty-two charter members. The post commanders in the order of their succession were: W. H. Keller (three terms), C. H. Myerhoff, A. C. Rosencranz, Jacob W. Messick, A. J. McCutchan and Christpher J. Murphy, now commanding. From the organization to 1889, Capt. August Leich has been adjutant; Dr. J. W. Compton, surgeon, and Conrad Reichert, sergeant major. The other officers at the date of organization were: Charles H. Myerhoff, S.V.C. ; Geroge H. Neekamp, J.V.C; Michael Gorman, Qrm. ; H. A. Mattison, chaplain; J. W. Messick, O. of D., and J. H. Holtman, Qrm. Sergt. The other present officers are: Edward Grill, S.V.C. ; H. P. Hopkins, J.V.C. ; August Schmitt, Qrm. ; S. B. Sansom, chaplain; C. H. Myerhoff, O. of D.; R. M. Nickels, O. of G., and Joseph E. Schu, Qrm. Sergt. The post was incorporated under state law in 1885; the present trustees are: A. C. Rosencranz, S. R. Hornbrook and C. H. Butterfield. The post held annual Memorial Day exercises. The reunion of the Blue and the Grey was held under its auspices at Evansville in 1887. This was a great event in the history of the city and of the country. The post also held a panel discussion of the Shiloh fight between Gen. James C. Veatch and Gen. Alvin P. Hovey, which created intense interest among soldiers in all parts of the country. The post’s armory in the Masonic block was one of the finest in the state, and was handsomely furnished with every convenience for the comfort and entertainment of its members. The auxiliary Women’s Relief Corps was instituted in 1885 and remained active for decades. The last surviving member of Farragut Post, No. 27, was Silas A. Day. Mr. Day died on 8 February 1939 in the Indiana Soldiers Home in Lafayette, Indiana.